Ask and you shall receive, FlexiSpies! Call recording has just gotten a major facelift in the form of Native X – our most stable and highest quality Android audio source to date! Native X is the brand-new default audio source for call recording and is available for EXTREME users with FlexiSPY version 2.31.2 or higher. It has been added to our list of other supported sources and aims to provide a better and more stable recording experience. Don’t worry though, if you find that your current recording format works best with your device, you have the option to continue using that as well. What Did Native X Improve? Improved Audio Quality. Native X focuses on providing better and more reliable sound quality for call recordings, so you feel confident that you are hearing every detail. Samsung Note 8 and S8 Support. Native X improves the user experience for two of the most advanced and popular mobile phone models. Our team has resolved issues involving stopped call recordings, not being able to locate record files and only being able to hear one-side of a recorded call. Improved Android Stability. 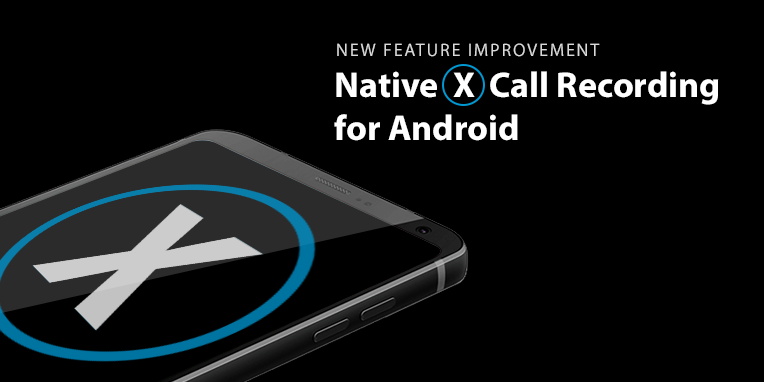 Piggybacking off the improvements made to Samsung Note 8 and S8 devices, Native X has also improved the stability of call recording for most Android devices operating with Android OS 4.1.2 or higher. How Do I Use Native X? Our testing team has been hard at work verifying Native X compatibility across a wide-range of mobile devices. And while we do our best to stay current with the latest mobile platforms, we found that Native X was not yet the best audio source for the Nexus 5X and Sony Xperia Z3 phone models. However, as mentioned above, FlexiSPY users with these devices can still use call recording with their currently selected format. Native X is compatible with FlexiSPY versions 2.31.2 and above. You can easily update your FlexiSPY account from inside your online portal. Simply log in, select Account and click the orange arrow under ‘Action’ to update device software. Let us know what you think about Native X in the comments below. We’d also love to hear if there are any other features you’d like us to improve. Don’t forget to subscribe to the blog and our official YouTube channel for the latest updates, announcements and promotions!